Dear Gurudev, is it possible to be your devotee and a devotee of Jesus at the same time? Listen, if you are a devotee, it is good enough. There is only one consciousness, that’s it. See one in all and all in one. I remember a catholic nun who met with me in England way back, 30 years ago. She was very old at that time, and do you know what she said? She said, "If you don’t see Jesus in the first person you see in the morning, you are never going to see him". So the whole principle is love, oneness and compassion, and that is what Art of living is all about. 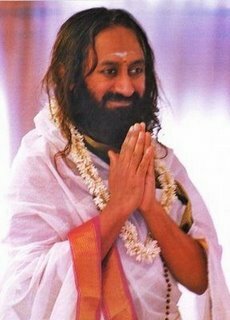 Gurudev, I have heard that there is a drug called Ayahuasca that aids in spiritual growth. Apparently, it lets out fears and stumbling blocks that keeps us away from God. It is found mostly in South America. Do you recommend such a thing? It is a natural herb. Yes, even cocaine is all natural only. It is also a herb, but stay away from it. Look at people who have taken drugs, do they look like they are in ecstasy? Not at all. If you look at them, you pity them. All their energy gets drained. And moreover, on a subtle level, their aura gets totally broken. People who use drugs, their subtle body (pranic body) gets shattered, and their aura is all cut. So never ever use those things. Just use your breath. With pranayama, Sudarshan Kriya and meditation you can go high up and be healthier. And many people have come out of drugs with this. They realize they don’t have to spend money to do this. Wherever you sit and meditate, you are in bliss. This is a very good antidote. If you have not done Shakti Kriya, you should do it. In 20 minutes of Shakti Kriya you can find yourself in a high and pleasant state of energy. 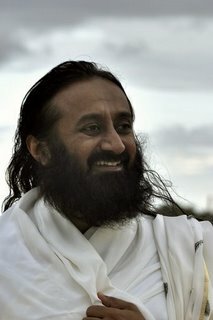 Gurudev, why is self-love so difficult? It is not difficult at all. Self is love, do you get it? From childhood you have been told that you are bad, and it is the mind which is the enemy of the self. Through this knowledge the mind understands that 'I am love and I don’t need to love myself'. You don’t need a torch to look at a torch. Do you need a candle to look at a candle? The candle itself shows itself. Similarly, you are love. You don’t need to sit and say. "I love myself". However you are, offer it all to the Divine; your thoughts, your emotions, your mind, positive or negative, however it is, offer it all and be free. Know that this is not your mind, these are not your thoughts. Actually, you might have experienced this -- sometimes for no reason you get angry or upset. Just being with some people or in a certain place suddenly gets you angry. How many of you have experienced this? Suddenly you get angry. It’s not yours. That place had these vibes and when you went, you started reflecting that. Many times you don’t want to say things, but some people’s vibes make you say things and then you regret it. How many of you have had this experience? (Many in the audience raise their hands). So you are not living in an island. We affect others and others affect us. Can you say this is my air? No, the air that you breathe out goes into others' lungs as well. We exchange air. When you can’t even protect your air, mind is thousand times subtler than air. And definitely the thoughts affect you, and this is where mantras are very useful. For thousands of years people have chanted these mantras, so when you sit and chant 'Om Namah Shivaya' for a few minutes, it somehow strengthens the mind and energy, and it keeps you away from depression. You know, your subtle body is bigger than your gross body. Your pranic body is one and half feet bigger than your gross body. Have you heard of phantom pain where a person whose hand or leg has been amputated experiences pain in the part that has been amputated? The doctors don’t know what to do with this. If there is a physical hand, you can apply some balm on it, but the hand is not there and they have a phantom pain in it. This is in the pranic or subtle body. When you do pranayama, Sudarshan Kriya and meditation, you can snap out of it in no time. So our subtle body is bigger than the gross body, and when the subtle body shrinks, that is when you feel depressed. When it shrinks a little you feel sad, when it shrinks more you feel depressed, and when it becomes smaller than the physical body, then suicidal tendencies come. Suicidal tendency is what? If this dress gets too tight for me, I just want to get out of it. See, if you are putting on a coat which is two or three sizes smaller than yours, can you be comfortable? What do you want to do? You just want to get out of it. This is exactly what happens when people have suicidal tendencies. The subtle body has shrunk and become smaller than the physical body, and that is why the suicidal tendency comes up. But when you do Sudarshan Kriya, or meditation, or pranayama, the subtle body increases and becomes normal, and this tendency disappears. You know, recently when I went to Tampa, a psychologist told me that every 30 seconds one person is committing suicide. That’s a lot. I was so stunned. Then I felt we must reach this knowledge to people. When they do yoga, pranayama, Sudarshan Kriya and meditation the subtle body becomes stronger and bigger. First you feel normal and happier, then the subtle body becomes even bigger and you feel more happy. Then if it becomes one with the causal body which is even bigger, then you become blissful and are very happy all the time. Can you speak on the new phenomenon in the United States of Gay marriage which has been legalized? Why do you want to draw me into a controversy? I feel marriage is an individual thing, and whatever an individual feels or likes, is to be respected. Individual’s choice should be respected. God accepts you and respects your choice, and that’s why he gives you a choice. Otherwise he would have not even given you a choice. So I think we must respect an individual’s choice as long as it doesn’t harm the society. We can’t say the same thing in the case of a terrorist who wants to gun down everybody -- we can’t say that God has given him that choice, no! Whenever I want to do something, I am stopped by the fear of what might come of it. I always fear the worst possible outcome. How do I stop this? Never mind. Take a deep breath in and know that only the best will happen to you. 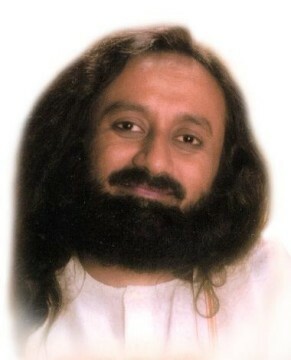 Take it as my word, that Gurudev has said only the best will happen to me.